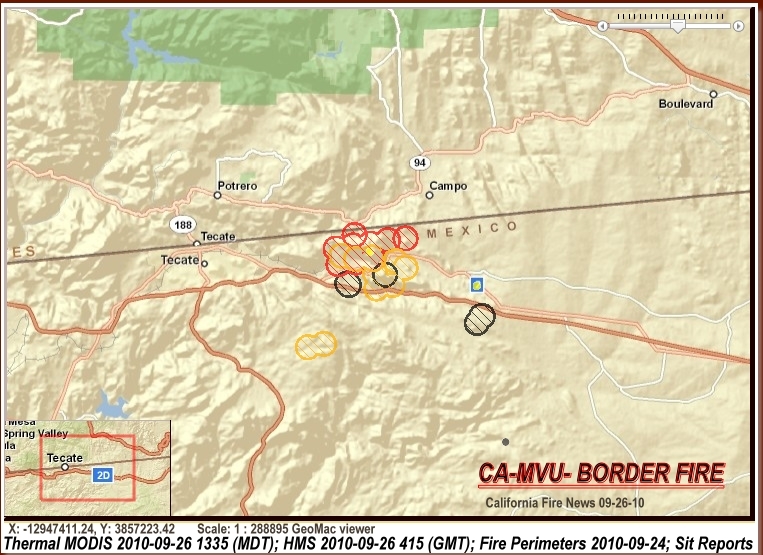 Large Wildland Fire burning Mexico on the United States border along fence-line and is exhibiting extreme fire behavior. 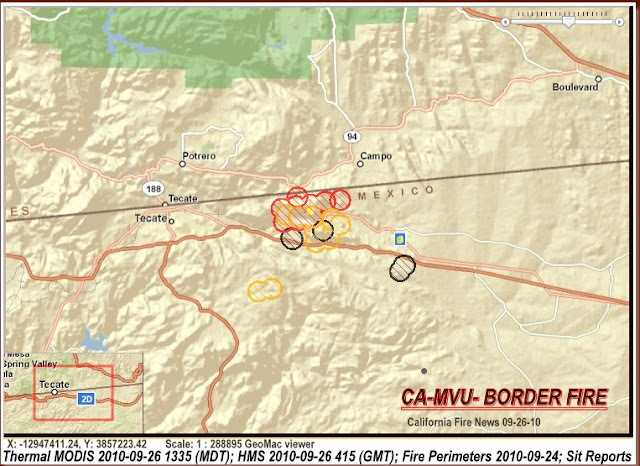 1745- All burn injuries reported as a "Burnover" were to civilians in Tecate, Mexico. United states Air ambulances enroute to P.O.E. for Medivac.